While we have a clear picture of what kind of publication Beneath Ceaseless Skies is, the second challenge is whether their "best" is good enough. It can be safely said that there's no false advertising here as the book does feel like it's the cream of the crop. It's not just about delivering a story that's memorable, but each story is distinct from the rest. I mentioned in the previous paragraph at how a lot of high fantasy can feel derivative of Tolkien or the sword & sorcery sub-genre, but each story is refreshing and drastically different from the story that precedes or comes after it. Take for example the opening piece, "The Sword of Loving Kindness" by Chris Willrich. While at first glance it bears resemblance to Fritz Leiber's famous duo, Willrich steers the narrative into an entirely different direction. It has its fair share of amorality but the way he injects humor while still maintaining the seriousness--and danger--or the narrative is commendable. Nor are the characters, either the protagonists or antagonists, reduced to stereotypes and are instead fully fleshed out. Compare this to "Silk and Shadow" by Tony Pi which embraces the epic nature it's drawing inspiration from. The characters do not veer away from your initial expectations but what sets the story apart is its magic system and how the hero uses this to outwit his enemies. One could say this is a plot-driven narrative with a well thought-out cosmology and creative mystery. What adds oomph, however, is the way Pi fashions the ending which leaves room for ambiguity and fits the notions of a Tragedy. 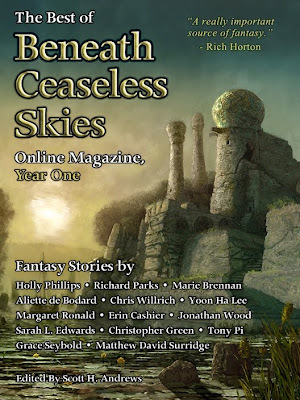 There are a lot of other strong stories in the anthology, especially those by female authors: "Dragon's-Eyes" by Margaret Ronald, "The Alchemist's Feather" by Erin Cashier, "Blighted Heart" by Aliette de Bodard, and "Thieves of Silence" by Holly Phillips are easily the strongest stories in the book--or any other anthology it might be included for that matter. 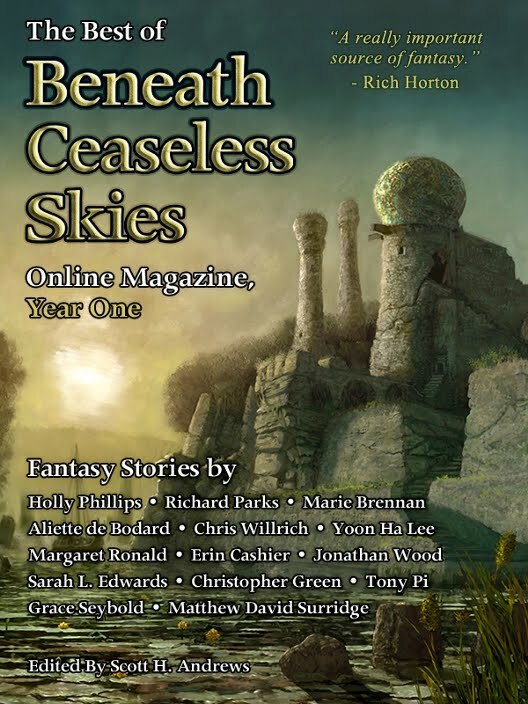 What's impressive with The Best of Beneath Ceaseless Skies, Year One is that there's no story that settles for mediocrity or competence. Each story works on an elevated level, and challenges the notions that high fantasy is cliche or just escapist. 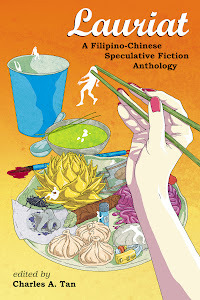 Looking at it from a holistic level, the anthology works not only because the title is apt, but because unfamiliar readers will immediately understand what the magazine is about as the selected stories speaks for the editor. Essay: Should eBooks be Cheaper than Print?